"Oh, no - never say you were in radio if you want to be hired as a voice talent!" I know I did when I left full-time radio six years ago. Sure, I was a working voice talent before I became an on-air personality. OK, so I began my career as an actress and singer before ever stepping into a whisper room. Still, that was the advice when I left: Hide your years as a radio personality. Sorry, but I've never been one to follow advice without question, hence my departure from corporate radio, but that's another story. So, here are seven things I learned from my years in radio that actually have made me a better voice talent. So there. When a piece of copy is thrown in front of you and you must deliver it - live, without a pre-read - with some semblance of understanding and expression, those skills get sharpened fast. Sure, adrenalin helps, but you also develop the ability to read "laterally" with one part of your brain focused on the words you are saying and another part looking ahead. You learn to phrase as you go, on the fly. You learn to try new approaches within the reality of the copy, if only to keep your brain involved. It's great practice for the inevitable VO "Five in a Row." While that song is playing, you may have just a few precious seconds to give away the prize to the caller, edit the phone call down to some good cuts to use on the air, and have it all ready to go by the fade-out. You learn to trust yourself and not overthink decisions. These qualities increase your confidence in the VO booth. Most on-air personalities are given very specific timing requirements for newscasts, weather reports, breaks, and of course the commercials they often have to produce after their air shift. You get to develop an inner clock for a 60-, 30- or 15-second spot that cannot be even a half-second over time. That ability is very helpful later on, as your ability to change tempo and make it work is called into play for voice overs. Back when voice talents usually left the recording studio waving goodbye to the engineer as we went onto our next job, without an editing care in the world, my experience doing radio production enabled me to make that engineer's job easier because I had great respect for - and some knowledge of - the job that lay ahead for him/her. Now, of course, I use many of those skills myself in my home studio. The fear factor was greatly reduced by my years in radio, getting cozy with Adobe Audition. My last seven years in radio were spent in the wee hours as the "second banana" on a morning show. It reinforced the need for a combination of skills: preparation plus improvisation, technique and emotion, intellect and imagination, left brain and right brain. Call it what you will, but you can't always know in advance how you will feel, even if what you will say is in print before your eyes. Radio reminded me that I can't plan everything - that the other person in the "scene" always has an effect on the next moment. Yes, even in one-voice narrations where the "other person" is invisible except in your own imagination. Acting is reacting, after you have started somewhere, with a clear POV (point-of-view). Yes, you learn to believe that the Saturday morning promotional appearance will be great fun for your listener. You do a morning radio bit with complete commitment to its value. You read sports stories knowing that the scores matter greatly to your listener, even if you personally don't know a football from a volleyball. And you find that different radio gigs require you to use a different part of your personality. I play a specific character (i.e., a facet of me) when I now do fill-in work on a classical music station. Morning radio allowed me to be snarkier than PM Drive did. You learn to find, and invest in, the truth of your situation, and of the copy. So, former radio person, hold your head high. We have nothing to be ashamed of. If you are in voice over, then I'll bet some of those radio skills have come in handier than you admit. And the new skills we've had to develop only make us better. Thank you, radio, for the good years and the great lessons. I think I'll keep those radio credits on my voice over resume - um, down near the bottom. Just in case. 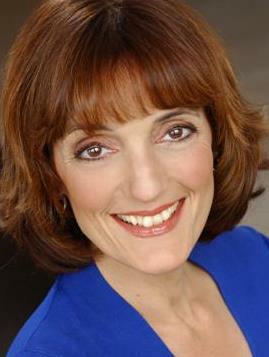 Randye Kaye provides "Intelligent, creative voice-overs and more” for clients such as Continental Airlines, Priceline.com, Dannon, Hilton Hotels, and Kyocera, and remains an enthusiastic lifelong learner. 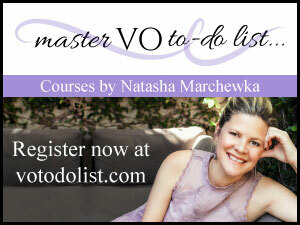 She is also a VO coach with Edge Studio in NYC, CT and DC. Talk about timely for me to find this article by Randye Kaye!! Just about to graduate from Radio Broadcasting School in my effort to re-engineer myself after a 30-year career in Medical Device Sales. I specifically chose this learning path in order to develop my vocal delivery skills and audio production skills, and a credible foundation with which to ultimately enter into the Voice-Over Field. I have recently been told by two 'Voice Over Gurus that my efforts in Broadcast Training were more than likely going to hinder me in my effort to move toward a Voice Over Career. I have begun a parallel V-O Training Program as I write this message. I appreciate Randye's insight, it has given me renewed confidence in my decision to gain a foundation in broadcasting, and move on with advanced V-O Training. I agree wholeheartedly! I learned all those things and more. I'm trying to get back on to my local station because not only did it prepare me in a lot of ways for VO work, I feel it keeps my chops prepared for anything that comes my way. So very true! Radio was fun! 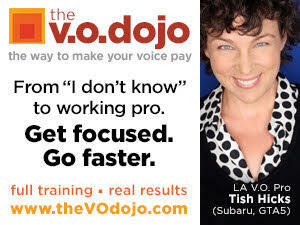 The skill set developed has helped me in my VO career. But I do miss actually editing tape...NOT!! My pleasure, guys! I just got tired of hearing that those radio skills were something to sweep under the rug. Of course, we all know good voice over delivery can't rest on those laurels alone, or we risk staying in announcerville (a lonely town, indeed) forever. But acting+improv+radio skills and experience? woo hoo! right? Your advice and insight is spot on. I spent 20 wonderful years at several Southern California radio stations. My career started back when we spun vinyl and edited with a razor blade and roll of tape. Those that did it, will get it ! I had a salesperson who would throw old copy at me five minutes before I went on the air and say "just fluff it up a little bit". Sounds crazy but I kinda' miss those days ! Hi Randye, Great article! I've been on radio from NYC to Nome, Alaska and agree with everything you say here. You Go, Randye. Thanks for pointing out that there are upsides to on-air experience that can be useful in the "legit" VO biz. Far too often, Radio People are as unfairly looked down upon by VO People ("Deejays can't interpret copy") as VO people are by the general public ("It's just taking. Anybody can do that."). As you so ably point out, radio folks can often bring some very useful skills to the table. That doesn't make us better, but it doesn't always make us worse either. It depends on the individual. Excellent article Randye. And so true. Every time a client thanks me for going above and beyond it's usually something I did that I learned in radio. IE: editing out mistakes, getting the read right on the first or second take, being able to think on my feet, etc. etc. I've always been proud of my radio background because it taught me so much! Thanks for putting it in words Randye. Couldn't agree with you more! Radio is a much more intense "training ground" than any actor ever goes thru. Actors take classes and audition as often as they can. Radio people HAVE to show up, clock-in, open the mic and say/read whatever is on the schedule for that day...under TIME PRESSURE and PAYCHECK PRESSURE and RATINGS PRESSURE with good "mic technique." There's no substitute for that baptism-under-fire! You MUST please listeners, advertisers and station management; it's a nervous but exhilarating lifestyle. It also makes one drink and smoke. The move into voice over & acting is MUCH easier after radio training/experience. The challenge is GETTING WORK. Long live radio and God bless acting coaches! And thank you Randye! Jay.